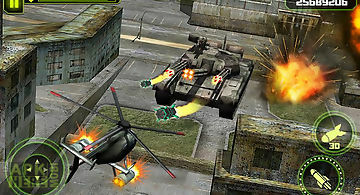 Army gunship clash - war game game for android description: Army gunship clash war game 2016 is world s most powerful gunship helicopter combat mission game where you will be engage in cross border multiple combat missions. Your helicopter will roar in different environments like urban city desert and in dense jungle. Your job is to shoot the enemy. Watch out for your enemy as they will use excessive force against you in their armored jeeps war tanks gunship helicopters f 16 battle ships and many more deadly arsenal of army weapons. 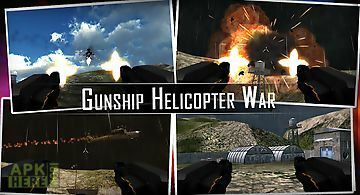 Look out the enemy troops in battle of glory in a direct encounter destroy your enemies before your enemy strike your gunship helicopter in this gunship heli warfare shooting game. 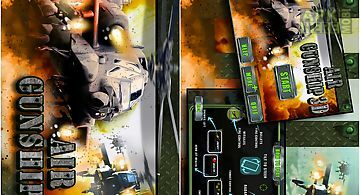 Have a critical strike at your enemies keep your allies in the battleship safe from the enemy attack. 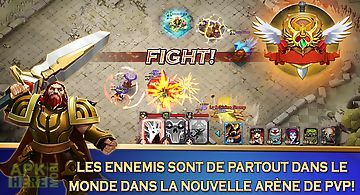 It s an action packed play store game easy to play but very challenging. It s a game of war live strong die hard. 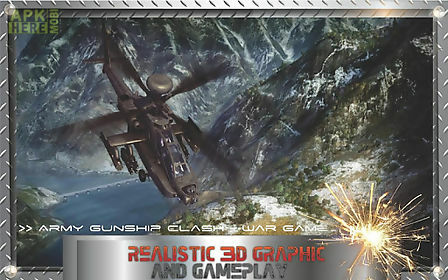 Army gunship clash is not like a world war game or a naval warfare game but it s a kind of strategy war game. You got multiple top fighter choppers plane parked at battle ship craft. Choose wisely according to the mission. 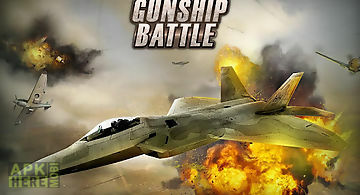 Don t collapse with buildings and escape yourself from enemy counter strike as your gunship might get crash in this deadliest battle and you will lose the deadly mission. You got only one aim that is shoot to kill rather being killed and fight for survival to get the reign of your occupied territory by enemy troops in airstrikes. 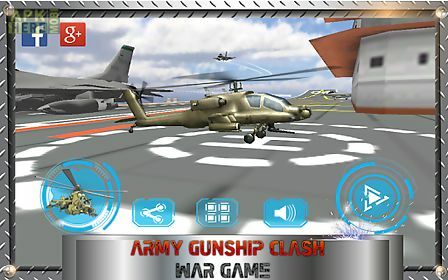 Army gunship clash game of war is best army shooting game which includes a gunship pilot simulation game experience to offer you most realistic game play with splendid flying experience kind of role playing at various stunning locations in a real war clash via airstrikes. 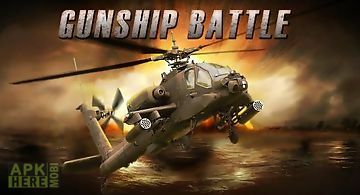 Army gunship clash war game of pro 2016 is best helicopter war game where you have to come out like a hero or villain savior or conqueror so choice is yours so take your seat in the gunship cockpit and conquer the battle field now. 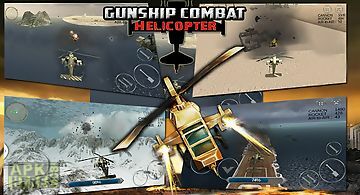 Become a pilot of a fighting helicopter and carry out various military missions in the game gunship battle. 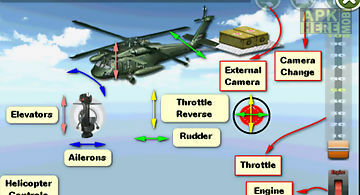 Game features: some classes of helicopters vari..
Air gunship 3d is sequel to the highly popular helicopter battle game. 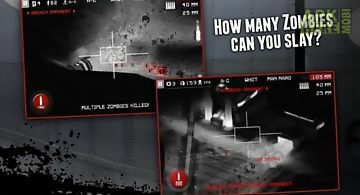 The game presents next generation 3d helicopter simulation experience with brand new..
Zombie gunship puts you in the gunner seat of a heavily armed ac 130 ground attack aircraft. A shooter game where you strategically fire your powerful guns..
You are a stealth helicopter flight pilot your fleet is destroyed in an extreme air combat only you are left. Your mission is to combat enemy strike destro.. 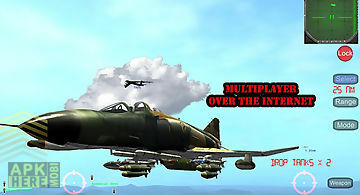 Experience the vietnam war aircombat immerse yourself into the mist of the vietnam war as an us helicopter or a fighter pilot. Not like other flight sim ga.. 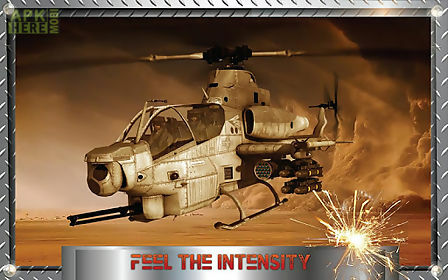 Experience vietnam war era combat helicopters! 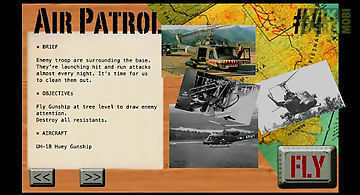 Immerse yourself into the mist of the vietnam war as an us helicopter pilot. 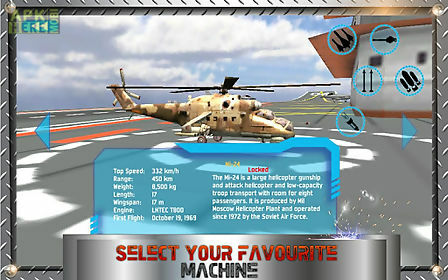 Be part of the new air mobile t..
Would you like to treat own as a professional pilot by playing this helicopter game? Can you be the hero for the people who needs your help and support? Jo..
ign editors choice (9 10) amazing meet the real angry bird: the ultimate anti zombie weapon. 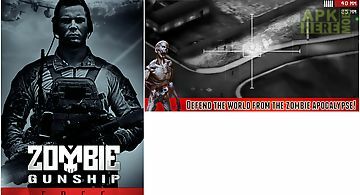 Quot forbes zombie gunship puts you in the gunner seat of a h.. Your army base has been attacked by enemy air force as a pre planned assigned onslaught against your interests along with their expert commando fleet. You .. Bomber jets are attacking the army concentrations and strategic targets enemy is racing towards you to blast your helicopter. You need to take charge to pr.. The world 39 s most powerful combat helicopters are at your fingertips. 70 million downloads!! Become a helicopter pilot and engage in combat missions acro..